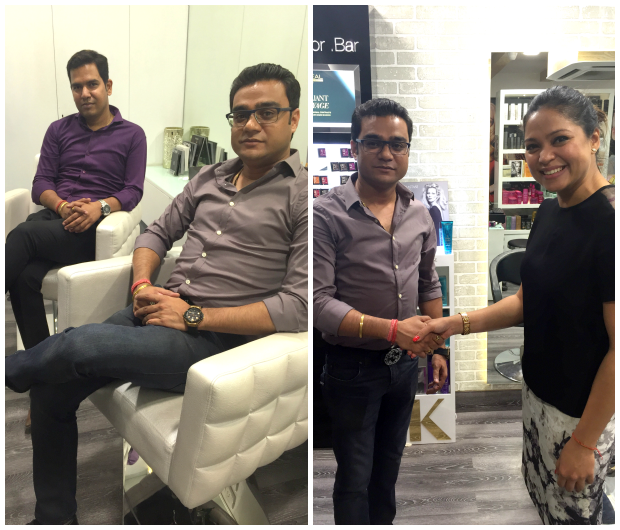 disclaimer- this post is brought to you by Toni & Guy ( sector 18, Noida Delhi ), compensation was provided in the form of complimentary salon services. 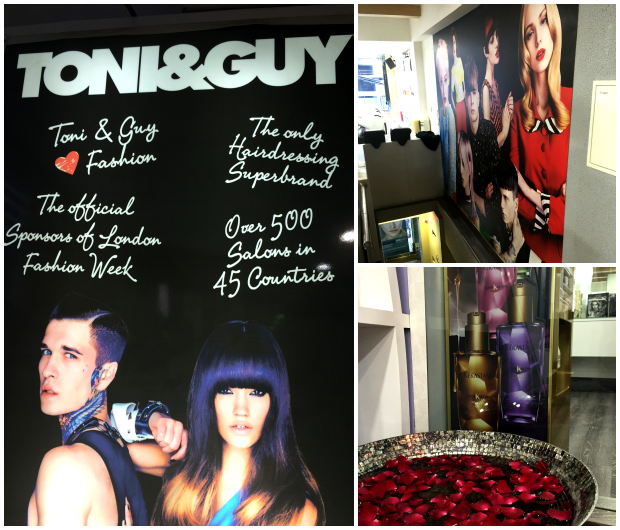 When back in Delhi ( India ), I had the opportunity to attend a UK based, India reputed, unisex salon Toni and Guy ( Sector 18 , Noida ). 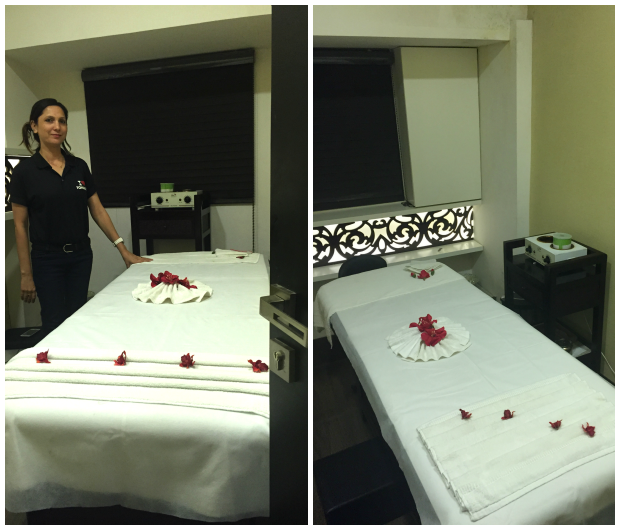 With all the stress from travelling to India, specially with preschooler in tow, it was sheer bliss to receive an invitation for a complimentary facial service at their salon. 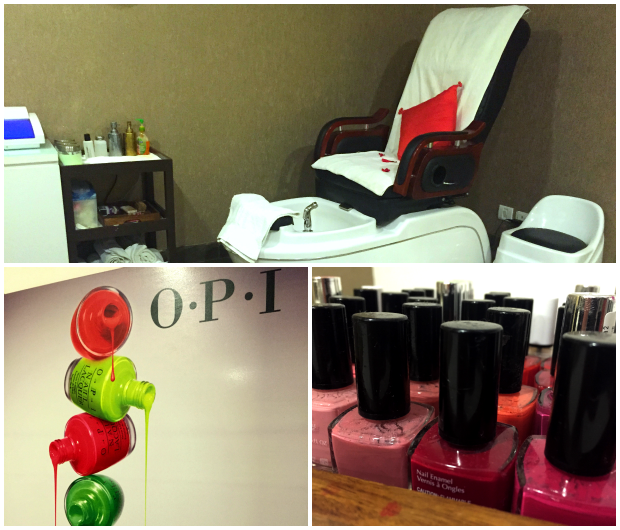 Located in the heart of Noida Delhi, this particular one is fairly new in it's category, and offers all one could ask for- facials, body massages, hair cut and styling, hair spa and coloring, to name a few. The minute I stepped in, I was greeted by the owners Mr. Akash Jaiswal and Mr. Vikas Jaiswal, the brother duo behind this franchisee. With the most courteous staff, this salon takes pride in it's incredible service. Did I mention, my facialist was the sweetest and most tolerant lady I've ever come across in this industry. Hats off to her for bearing with a demanding client like truly yours and also for helping me feel a noticeable difference to my skin at the end of my facial session. Their most sought after service is the hair spa. 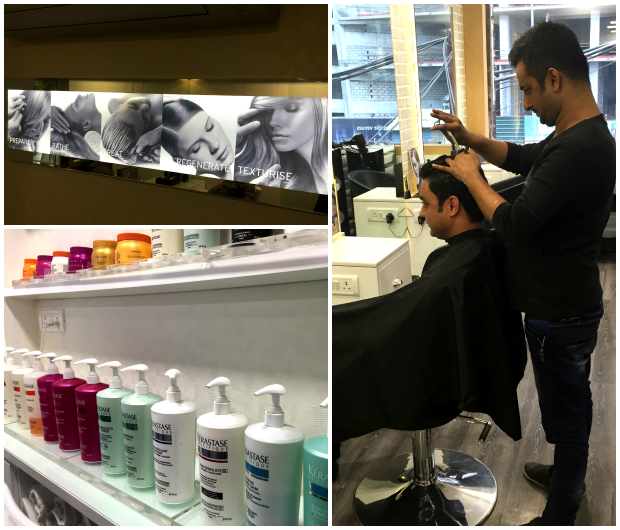 Their work mantra is to first prepare your hair, then bathe it, then treat it, thereafter regenerate it and finally texturise it. They strictly adhere to the Kerastase line of hair products ( in addition to the Loreal professional color bar ), which happens to have a huge market in the US too. Well, that accounts for all the effort these guys put into making your hair look and feel the best. Overall an experience to remember, right from start to finish! I would totally recommend this one to anyone who is looking for some relaxation in their downtime. The entryway and the beautiful decor to match the ambiance. 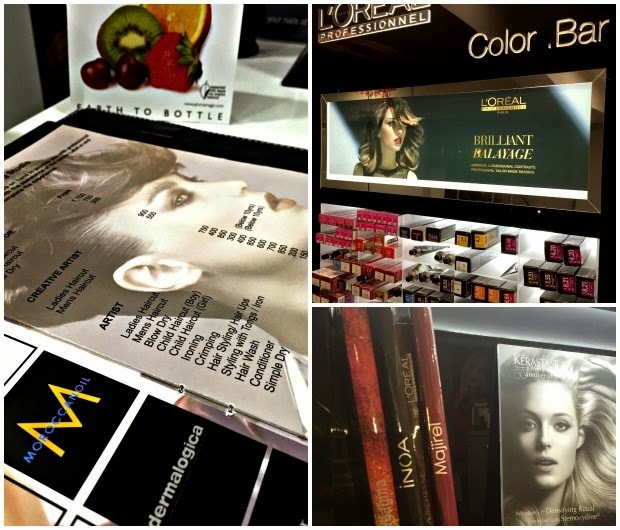 Their hair spa mantra and the Kerastase hairdresser at work. The facialist showing off her domain.